The continued decline in GE share prices (now below $20 per share) have been a major topic in the financial press (and TV) during the past few weeks. Jeffrey Immelt (Jack Welch’s protegé) is gone, no doubt with a sizeable “golden parachute” to comfort his golden years. Yet in GE’s peak year, under Welch, in August 2000 (just before the “dot.com” crash) GE was worth more than $600 billion. Recently it fell to $190 billion. Hmm. Let’s have a look. As of September 2017 GE was still in the Dow-Jones Industrial Average (DJIA), since it is by far the biggest US manufacturing company in revenues, if not in profits. But while the DJIA has risen 18% this year and the S&P has risen 15% this year alone, GE is the biggest loser, down 30% ($84 billion in market value). The annual dividend, still $0.90 per share, is now at risk. The chances are good that it will have to be cut to $0.60 at the next annual meeting for the simple reason that the expected free cash flow for the coming fiscal year, which was optimistically expected to be $12 billion, now looks more like $7 billion. In other words, GE is not earning enough to cover its traditional dividend payout. The company is likely to sell around $20 billion in assets, just to cover expenses. Not only that, the GE pension plan, which was over-funded from 1999 through 2007, was under-funded at the end of 2016 by $31.1 billion. What happened? It seems that the assets of the plan ($45.8 billion, at the end of 2016) were not appreciating at the optimistic 9.5% p.a. rate assumed by the plan’s administrators, the basis on which its future obligations are still based. Even a 7.5% p.a. rate of appreciation would be nearly impossible to achieve today, as most US defined benefit pension plans are in trouble because of low interest rates on government (and corporate) securities they have been forced to invest in. What has gone wrong? One obvious criticism is that Jack Welch’s “success” was built on his policy of acquisition without innovation. 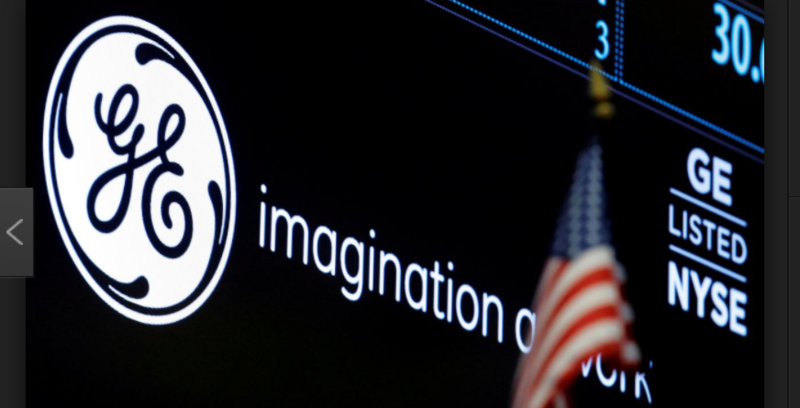 GE bought several hundred small companies, in a variety of fields, during a period of fairly spectacular economic growth and stock market appreciation. The rising price of GE stock, which Welch used either in all-stock deals, or as security for loans, as was what fueled that growth. His legendary short-term cost-cutting policies – now widely imitated – made the profits go up and up. But, during Welch’s tenure, and Immelt’s tenure, GE has innovated no significant new products or new technologies. Apart from the jet engine business (which was there long before Welch appeared on the scene) GE no longer leads in any important growth sector where it once was a pioneer: not materials (e.g. silicones), not home appliances, not TV, not nuclear power, not lighting, not computers, not telecommunications, not medical equipment. GE Finance, a sort of in-house bank to finance customers purchases, produced most of the company’s profits before 2008. GE Finance is gone, having invested too much in mortgage-based securities, a victim of the crash in 2008. One suggestion – never mentioned by the financial gurus who “explain” why companies do well, or don’t do well, for some reason — is a propensity share buybacks to prop up the share price. True, most CEOs were doing it, but rarely with such negative results. During the years after 2005, GE under Immelt spent $53.476 billion to buy back its own shares, supposedly to “return capital to the shareholders.” That money, intended to increase earnings per share, did not prevent the shares from losing their value, year after year. What if that money had gone into R&D? Or what if it had been invested in the S&P? Or simply kept in the money market? Or invested in gold? Those buybacks must qualify as among the worst investments ever made by corporate managers supposedly working for the shareholders. Robert U. Ayres is a physicist and economist, currently Novartis professor emeritus of economics, political science and technology management at INSEAD.. He is also Institute Scholar at the International Institute for Applied Systems Analysis (IIASA) in Austria, and a King’s Professor in Sweden. He has previously taught at Carnegie-Mellon University, and as a visiting Professor at Chalmers Institute of Technology. He is noted for his work on technological forecasting, life cycle assessment, mass-balance accounting, energy efficiency and the role of thermodynamics in economic growth. He originated the concept of “industrial metabolism”, known today as “industrial ecology” with its own journal. He has conducted pioneering studies of materials/energy flows in the global economy. Ayres is author or co-author of 21 books and more than 200 journal articles and book chapters. The most recent books are Energy, Complexity and Wealth Maximization(Springer, 2016), The Bubble Economy (MIT Press, 2014) “Crossing the Energy Divide” with Edward Ayres (Wharton Press, 2010) and The Economic Growth Engine with Benjamin Warr (Edward Elgar, 2009). This entry was posted in 2017, Commentary, Op-ed, Stock market and tagged 2017, Editorial, Finance, Op-ed, Stock market. Bookmark the permalink.